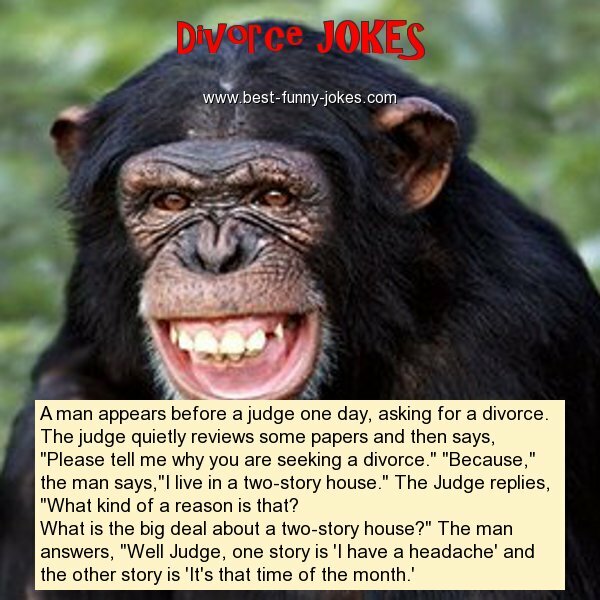 A man appears before a judge one day, asking for a divorce. The judge quietly reviews some papers and then says, "Please tell me why you are seeking a divorce." "Because," the man says,"I live in a two-story house." The Judge replies, "What kind of a reason is that?